Lower Pines Campground, located along the Merced River in Yosemite Valley, is a great choice of campgrounds in Yosemite National Park, with many attractions and activities nearby to enjoy. Book Online. 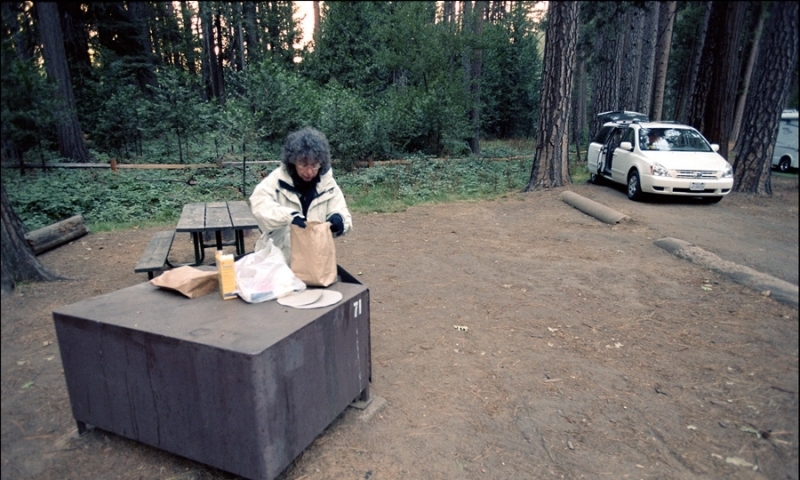 Lower Pines Campground Yosemite offers a special convenience for campers in the park. It’s not far from Yosemite Village, and a number of hiking trails are within close proximity. Enjoy the views of Half Dome as you settle into your camping spot. There are fire pits, picnic tables and drinking water. Lower Pines Yosemite is located in Yosemite Valley near Curry Village, 11.5 miles from the Arch Rock Entrance. Yosemite Lower Pines requires reservations. Call 877-444-6777 or Book Online. Yosemite Lower Pines Campground is a great place for families. You’ll find lots to do close by. See one of the most famous waterfalls within Yosemite. Bridalveil Fall is the second highest fall in the park and spills its cascade the whole year through. It tumbles 620 feet and is breathtaking in its beauty. It’s not far from Lower Pines Campground. Opposite Bridalveil Fall lies El Capitan. This 3,000-foot rock formation is best seen from Tunnel View in Yosemite Valley, not far from your camping site. Hike to Dewey Point and marvel at the incredible views. This is a great way to see abundant wildflowers in July. The overlook of Yosemite Valley and El Capitan is worth the trek. This easy 2.5-mile hike takes anywhere from one to three hours. Again, you will get fantastic views of Yosemite Valley and avoid the crowds as well. Due to the switchbacks, the elevation gain of 1,000 feet is virtually unnoticeable.